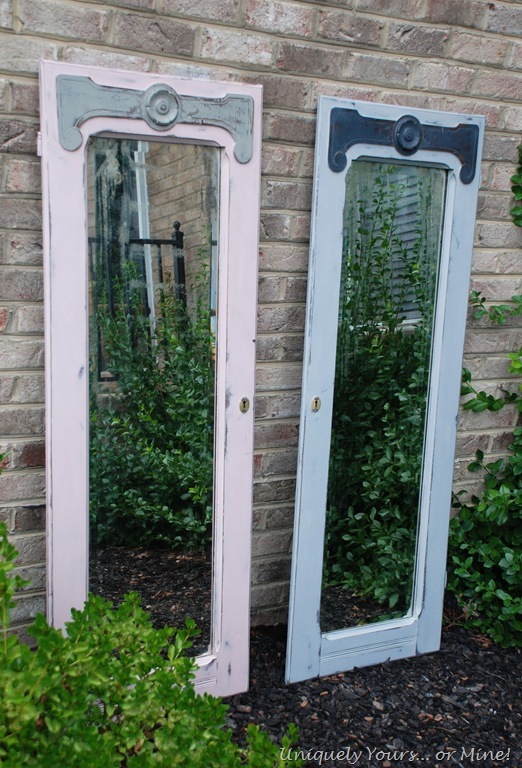 Loving Me Some Antique Mirrored Doors – Uniquely Yours… or Mine! 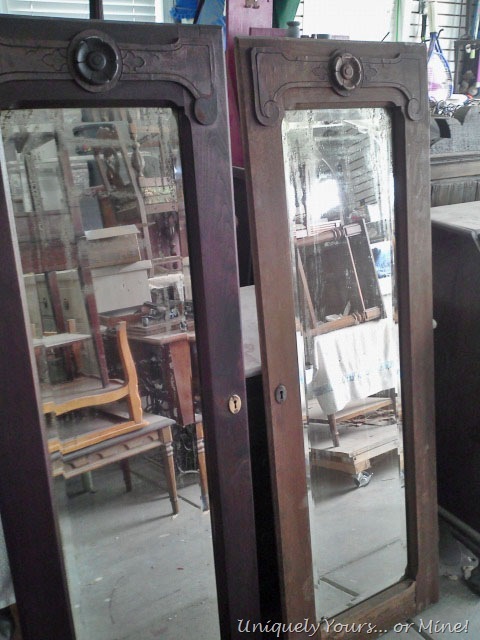 I bought these doors from an estate auction… when I first saw the pictures I thought they were full-sized passage doors… nope… they are mirrored walnut armoire doors… They are VERY heavy and the mirror is starting to patina… which to me only makes them prettier. They must have been kept in a barn or shed that had birds in it because they were quite liberally plastered in bird poo… NICE!! After they dried I applied a coat of Dark Walnut stain… the one on the left has been stained, the one on the right hasn’t been sanded or cleaned yet… Can you see the reflection of all of my piled up furniture? I told my Hubby that I would have enough room for him to park his car in the garage this winter… you would think with a three car garage that wouldn’t be a problem… Hmm… I might have to start storing some of this in my daughter’s room, she’s off to her second year at Radford so she’ll never know right? 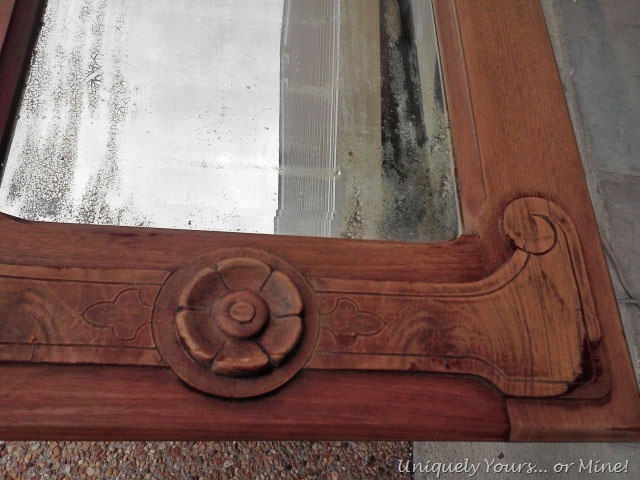 I lightly distressed the frames, applied wax and then buffed them… I love the flower detail on these doors! 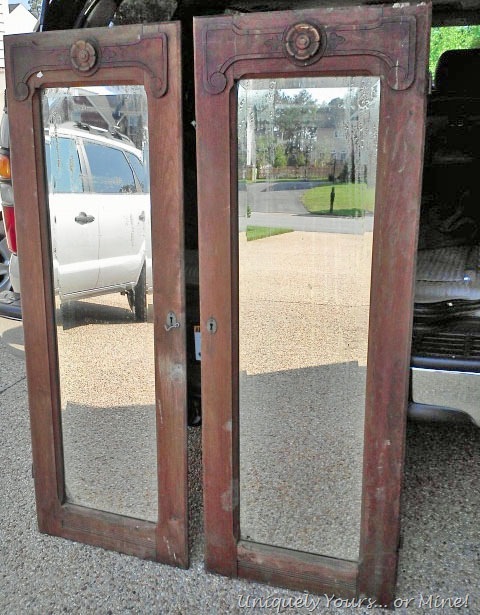 Can you see the patina happening with the mirror? Wow!… I think this will be the first project in a while where I “get” to keep something! 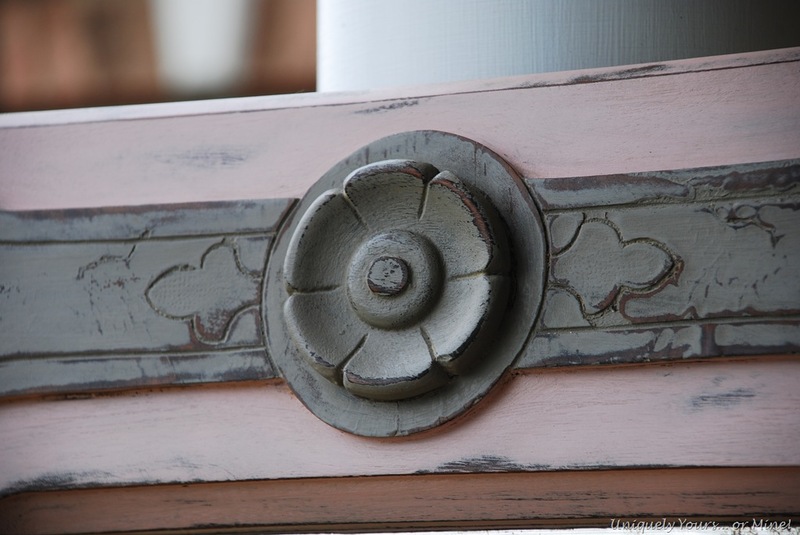 Thanks for stopping by and checking out the armoire doors! Previous Post: I Am Ready For Fall With This Color! 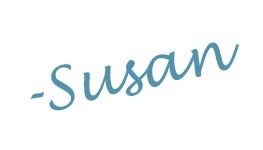 Wow Susan, I think my heart skipped a beat at the very first before photo! Those doors are amazing, minus the bird poop of course! What a great find. I’m totally jealous! Thanks Sharon.. don’t be jealous 😉 be happy! Love those doors. I’ve been following your blog for a couple of weeks. I’m hooked! 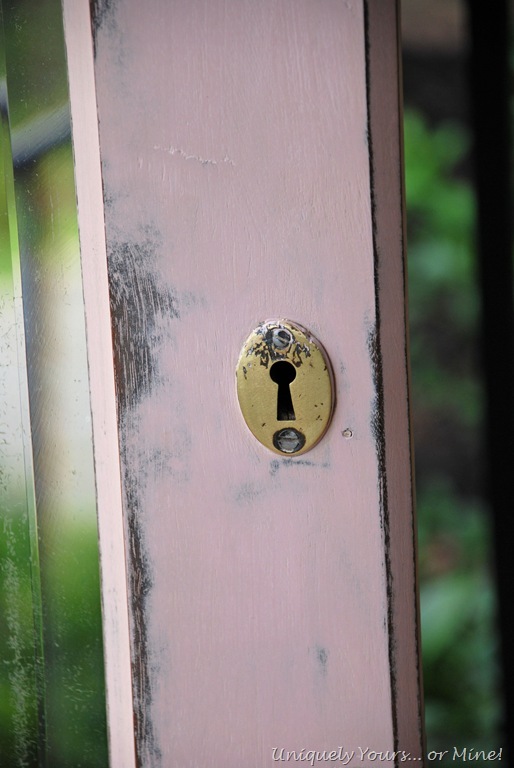 Do you always finish with wax instead of polyurethane? Curious about the differences and your choice. So glad you are a follower! I don’t always finish with wax, but I do like it best for most of the pieces I finish. 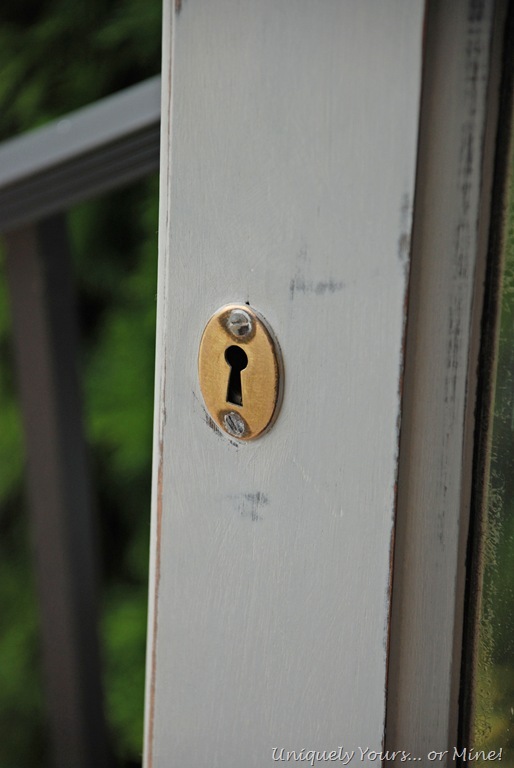 It just gives the pieces a beautiful old world protective finish… plus if it gets messed up it is easy for the new owner to fix by just applying more wax and buffing! You wouldn’t be able to do that with poly! I love these doors. I would love to get my hands on them. Wow Susan, great scores! 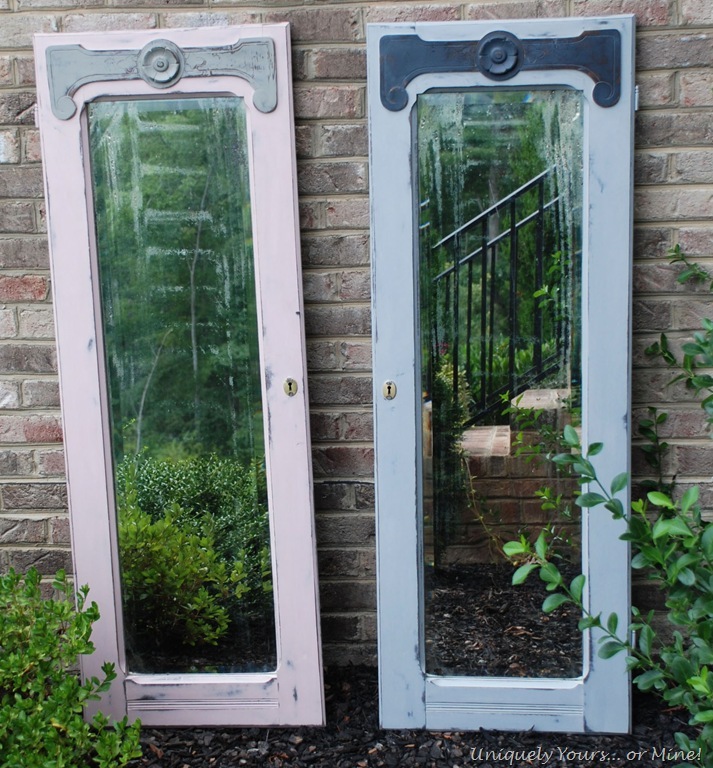 These mirrors have so much character to them. The style would work in just about any space! Hope you’ll link up for Frugal Treasures party tomorrow afternoon. Hope you’re weekend is going well. Oh they are so pretty. 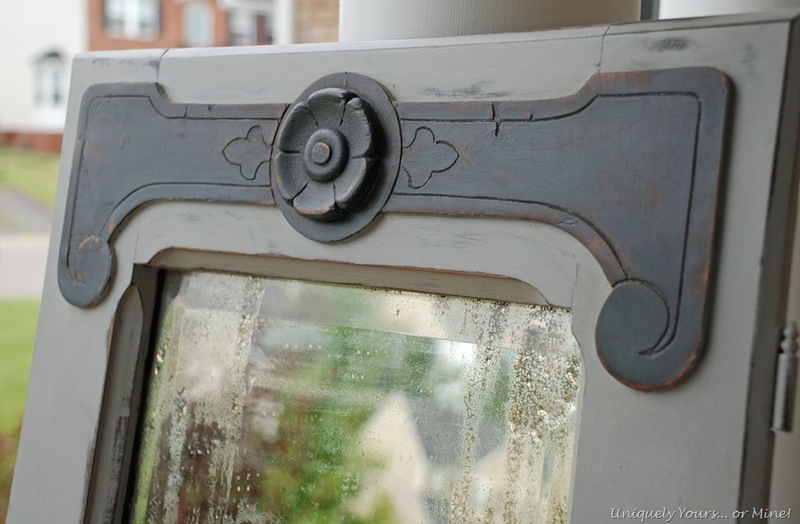 LOVE the mirror patina and those flower appliques! I am visiting from Nifty Thrifty Tuesday today. Your mirrored doors are beautiful. 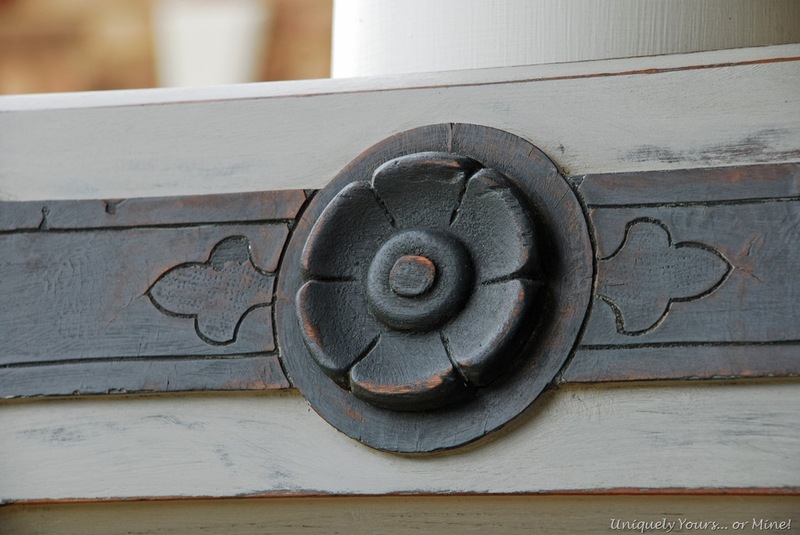 They have wonderful architectural detail. I have two that I prop and I just love them. those are so cool! what a find! so awesome and so unique!